A new report suggests that in just four years there will be 46 million 3DTVs in existence – pushing the format very much into the mainstream. Although there is a lot of deliberation at the moment with regards to whether 3D in the homes will actually be a success, US-based research agency GigaOM Pro believes that in just a few years the format's tipping point will come. "While the initial shipments of flat-panel 3DTVs will be small in 2010 due to premium pricing strategies by the large TV manufacturers, volumes are likely to grow quickly in just a few short years as manufacturers begin to implement 3D as a standard feature across their HD flat-panel product lines," explained Alfred Poor of Giga OM Pro. Poor also noted that the mini 3D revolution that's happening in cinemas at the moment, will echo people's love for the format in the home, explaining: "Just as many consumers are voting with their wallets today for the 3D version of their favourite movies in the theatre, we expect over time that many will choose 3D for their favourite shows and movies at home as well. "The latest movies and shows will become available in 3D on Blu-ray, Pay-TV channels and even streaming online, which will help drive consumer adoption of 3D-capable TVs as prices drop in coming years." 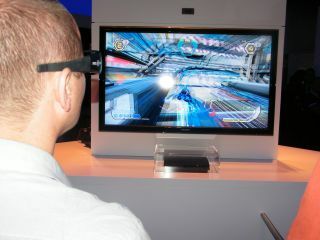 This will be good news for the likes of Sony and Panasonic who are hoping that 3D will be a success in the home. Both companies are investing heavily in the technology and are set to release a range of 3D-capable panels sometime in 2010.